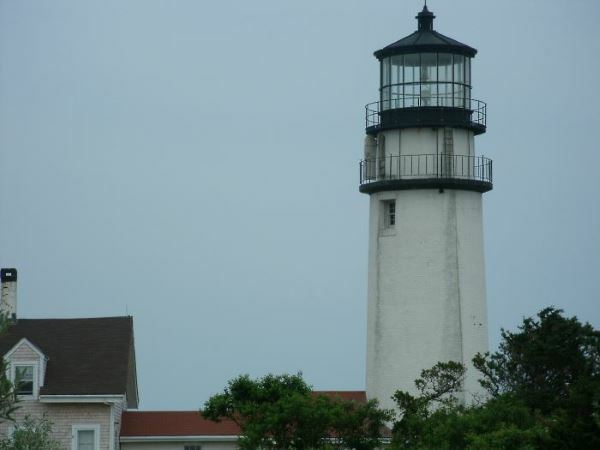 Orleans MA beaches on the Atlantic Ocean and Cape Cod Bay offer beachgoers a wonderful variety of scenery and water activities to choose from. Surfing on Atlantic Ocean waves, reeling in big Striped Bass and Bluefish, watching the changing colors of sunset over Cape Cod Bay ... that's just the beginning. 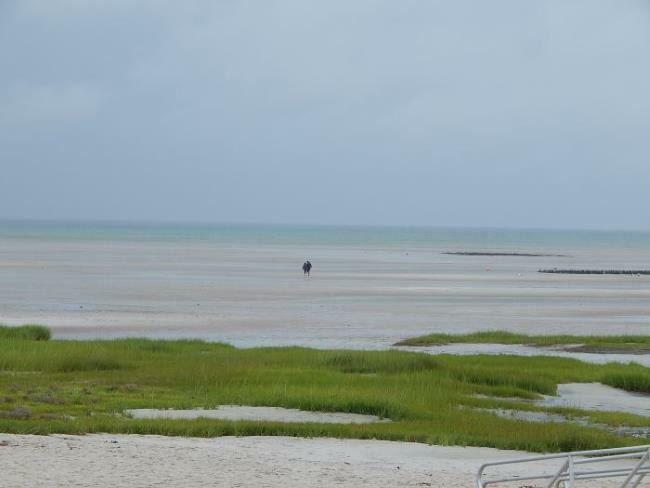 As you'll see below, the town of Orleans might not have as many saltwater beaches as some other towns. But the ones it does have are beauties! 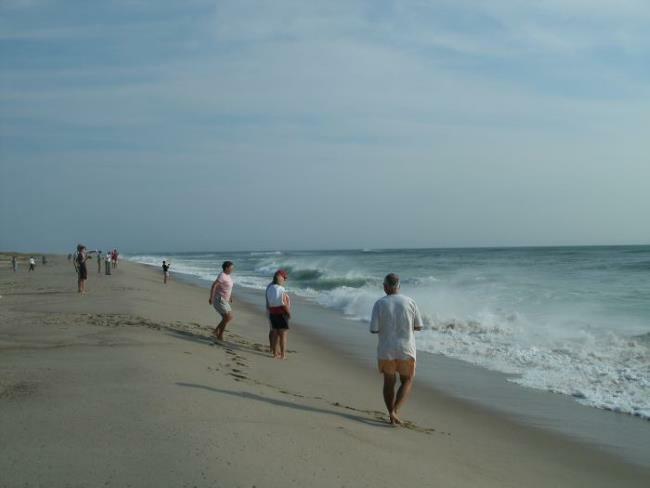 Nauset Beach is a mecca for surfers, boogie-boarders, sun-seekers, fishermen, and photographers from all over the world. No wonder this spectacularly beautiful, long stretch of sand is regularly named a "Top 10 Beach" by prestigeous travel publications! 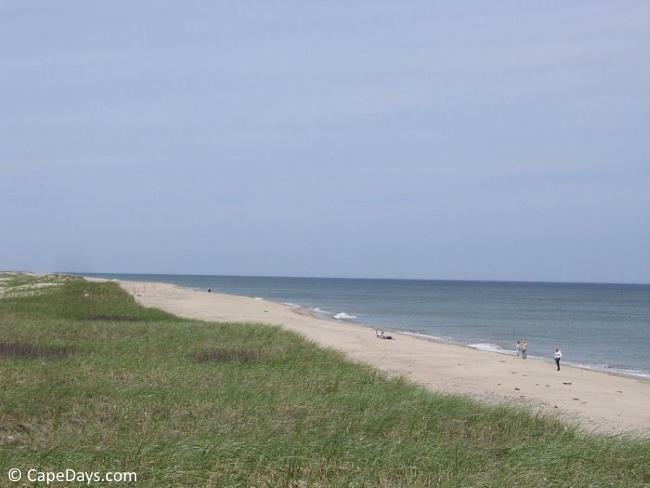 As wonderful as it is, Nauset Beach is not for faint-of-heart swimmers. The waves here are big and strong, and the water's cold. 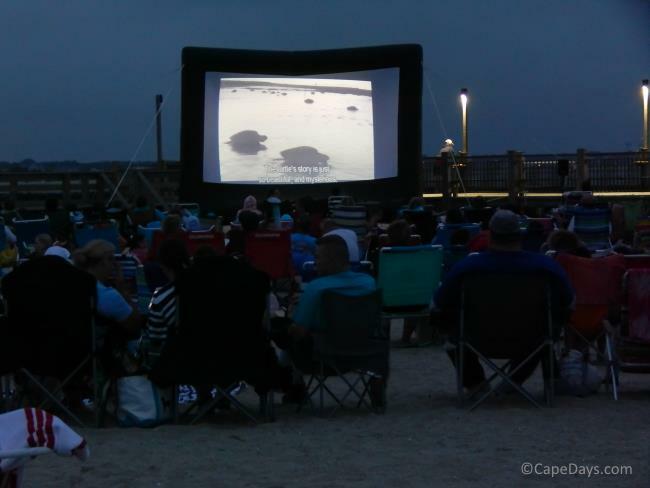 Free concerts are held at the beach gazebo on Monday nights in July and August from 7-9 p.m. Crowd Factor: Very busy, but lots of room to walk and get away from the crowd. Amenities: Lifeguards in season, restroom and shower facilities, phenomenal snack bar (see note below), gazebo. Handicap access surf chairs available. Parking: Huge lot, but it does fill up, so get there early. Sticker or daily fee required. I have sad news to report. During last week's devastating nor'easter storm, the sea reclaimed a large chunk of the Nauset Beach dunes near the parking lot. The iconic Liam's Snack Bar was a casualty. So sorry to see Liam's go! Orleans beaches don't get any kid-friendlier than this! When you're looking for warm water, soft sand, gentle surf, and a safe place for young children to explore the seashore, Skaket Beach is it. Crowd Factor: This beach is popular, but it's also large - especially at low tide. Amenities: Lifeguards in season, restroom and shower facilities, snack bar, picnic tables. Handicap access surf chairs available. Parking: The lot is decent sized, but it regularly fills up by 10 a.m. on sunny summer days. Sticker or daily fee required. 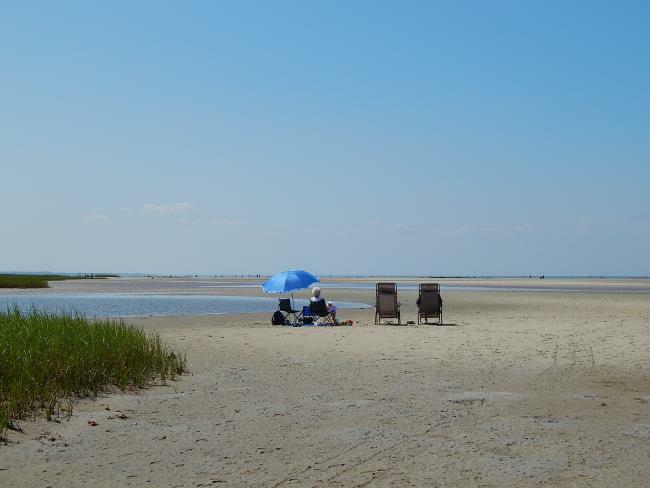 The beach at Rock Harbor is a great place to hang out and watch the fishing boats, experience the amazing Cape Cod Bay tide change, and see a spectacular sunset. It's also home to the best lobster rolls and clam chowder on Cape Cod, from Young's Seafood shack at Rock Harbor. Crowd Factor: Normally not overly crowded, except at fireworks time. Sunsets are popular there, too. So get there well before the sun starts to go down, to stake your claim to a patch of sand. Parking: Limited. No fee/sticker required. Parking Fees: From late May to late September, a daily parking fee or a town-issued pass is required. The daily fee is paid to the attendant at the gate. Passes may be purchased at the administration building at Nauset Beach or ordered in advance by mail. 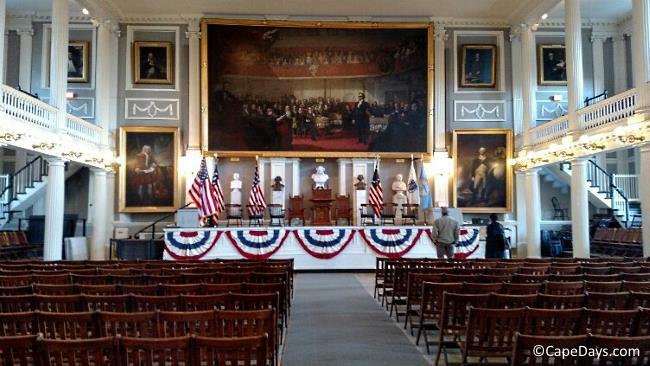 From Memorial Day to Labor Day, call (508) 240-3780 for sticker info. Off season, call (508) 240-3775.